This variation creates a double ring around your neck and takes its name from the fact that you don't see the ends of the scarf. The ends are tied together in a loose knot that sits on the nape of your neck. Simple, but elegant: this loop works best with thin fabrics and functions more as decoration than as anything to keep you warm. Stoles are particularly good when your arms are cold. 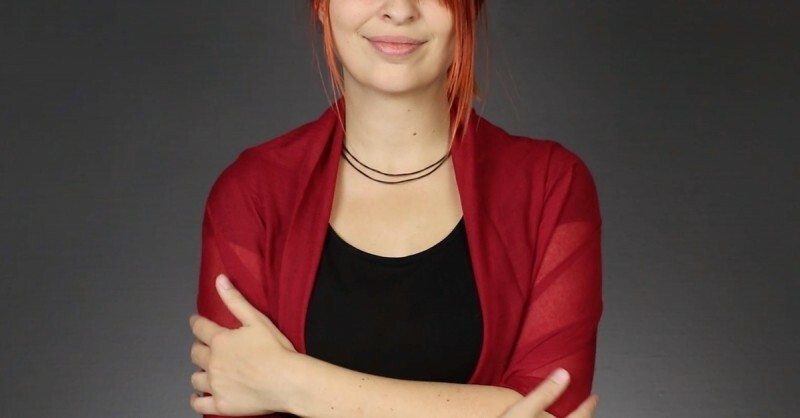 Sometimes, a scarf worn this way can also replace a jacket. For the European variation, you just have to form a loop in the middle of the scarf and pull both ends through — very practical for daily wear. The boa is perfect if you have forgotten your necklace, but at the same time, don't want to go without wearing jewelry. This option provides a veil over your neckline, and can strike a fashionable note if, for example, you're wearing just one color on your top half and want to brighten up the outfit. When you want two ends of equal length hanging loose at the front, use this little trick. This is not just a simple option, but a cute one too. It will look like you have two loops, one on top of the other. 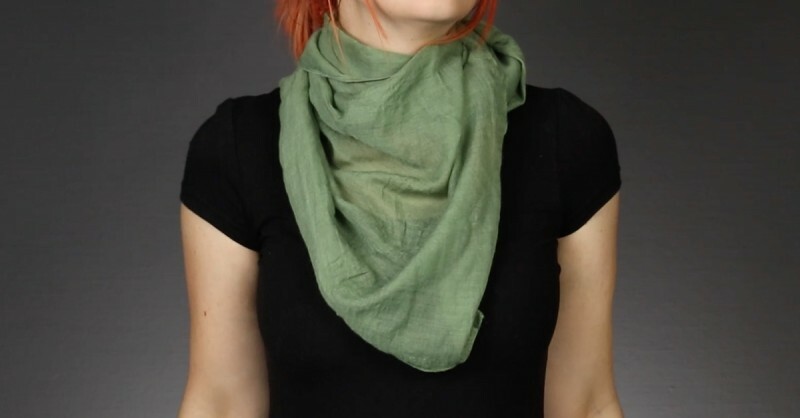 This style is especially for fans of short-knotted scarves, who don't want the ends dangling somewhere near their hips. 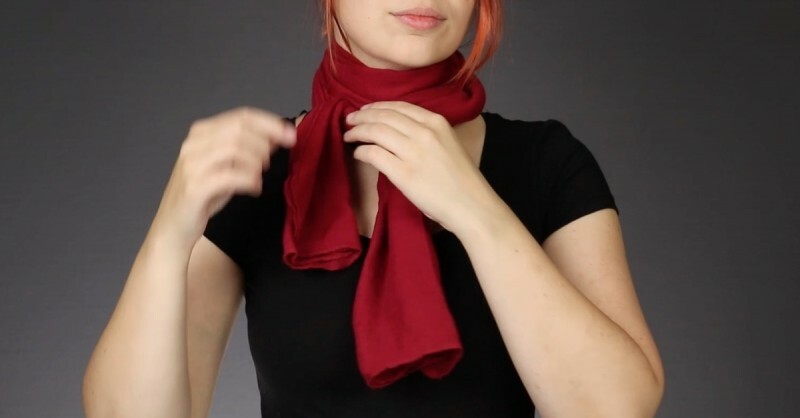 For this style, you'll first need to wrap the scarf around your hand once. The fake knot is a more casual look for everyday wear. Don't worry, you don't have to braid anything. However, the point where the loop and ends of the scarf hang together looks a little bit like a braid, which explains how it got its name. The name is actually more spectacular than the result. Nevertheless, once the scarf is knotted, the ends will be different lengths, and with a little imagination, you can see that they form long rabbit ears. Now you can try out a new style everyday. 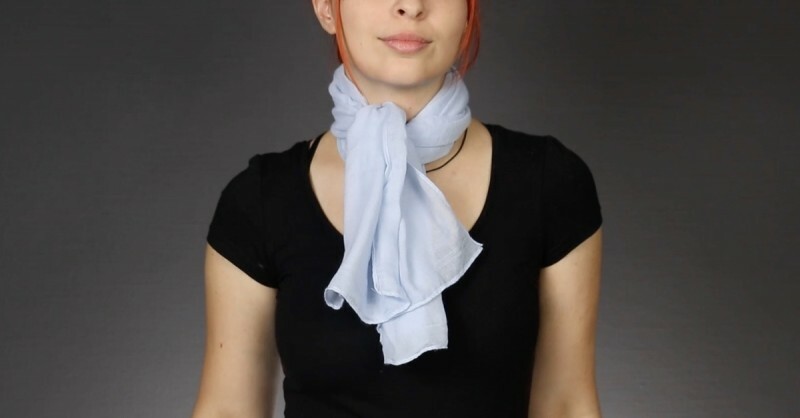 And even if you have only one scarf, you can always invent something new to do with it. Well, if that isn't motivation to make your scarf a fashion statement, I don't know what is!